Jon Hopkins doesn’t lend himself easily to the DJ-producer tag. At the same time, his body of work, throughout all its magnificent self-correcting shifts, offers a prodigious measure of the communal ecstasy that is dance music’s most formidable veneer. But above all else, his art, informed as much by its sublime ethereality as its titanic alpha and omega moments, is uncompromisingly cerebral and multivalent. That his five-album trench, including 2018’s breathtaking Singularity, cleaves to critical consensus while being endlessly explorable, innovative and penetrating, owes to the sheer necessity of his next-level modus, which weaponises sound as much as it coaxes it into gorgeous dimensions. Don’t mistake him for a self-serious pedagogue, though. Over the phone with us, ahead of his Singapore show, tomorrow, he was remarkably affable and empathetic. Below, read our interview with one of the UK’s most essential electronic musicians of all time. How's your 2019 shaping up so far? It's been pretty good, actually. I've taken a couple of weeks off, which were much needed. Last year was really intense. I did 65 shows since May when the record came out. There were many sleepless nights so I was glad I had some time to restore myself a bit and get healthy before I get on tour again. How do you feel about the overwhelming praise that Singularity enjoyed for the whole of 2018? I’m an awe, really. With this record I really felt that it was originally an undiluted personal place. I was trying to put as much integrity into it as I could and I wasn't trying to specifically pick any genre. I feel that I've subconsciously done that before where I picked and chose what goes in. For this record, I tried to be completely true to what I wanted to make. And it meant, that, at least I had the confidence knowing I couldn't have done any better; I couldn't have done it with more integrity. It was a real honour that it was received well. It was a good year-and-a-half of really solid work and it's a lifetime of experiences that made it up so I couldn't really put much more into it. Musically speaking, do you see it as a response to Immunity or would you say that it's a completely different entity? It's more of a continuation. I guess I've been exploring that concept my whole career. I do juxtaposing on quite heavy percussive and really complex elements. I think it's a combination of all these ideas, nudging me to the end goal. It’s known that you had to take some time off after Immunity blew up. What would you say was the most unbearable part of that time? I think it's the fact that you’ve transition from being very much an underground artist to someone that people know a bit more. There were constant barrages, stimulation, excitement coming your way. There was a constant stream of gigs and interviews and performances and filming and all these kind of things that are expected of you. How are you supposed to go straight to sleep afterwards? I was so exhausted, you know? All that urged me to really take the time off and rebuild myself. Do you see the political upheaval happening in the UK right now impacting the music that you will make in the future? I can't say what really affects the music that you write. I don't often feel that I'm in control of that, myself. With the last record, I was responding to the upheaval that you mentioned and also what happened in America. My response was to challenge it with what I intended to do for music. I want to give people an experience that could transcend their concerns about the immediate future and for them to try and connect to the song to some degree. I won't know what I'm going to write next till I start writing. I don't typically stay up-to-date with what's going on because I value my positivity too much so I don't think too much about it. What do you make of the constant association with your music to psychedelic states? Well, I've been honest about that association. For me, any form of trance state, whether it's achieved by just dancing or meditation or a naturally occurring psychedelic, is constructive. I think that actual psychedelic substances are the extension of meditation and it can be used to unlocking parts of your mind. The surges of interest in psychedelic culture have resulted in psychedelics being reevaluated for medicinal purposes. And when I talk about it in Singularity, I mentioned some of my own experiences. There is this infinite wealth of creativity that can be unlocked in the brain and I think music is a great home for that. It's also the experience of listening to music when you're at the right state. It's so powerful; that healing can be transformative. It's such a beautiful idea and it's something that I've been doing in various ways and when approached properly, it can be a transformative and powerful thing. At this point of your career, do you still see what you do as "dance music"? I actually don't. With my DJ sets, I got into playing techno and I really enjoyed that. I would say there are elements of dance music on my last album but it wasn’t what they were primarily aiming at. It’s closer to a post-rock, instrumental or atmospheric film soundtrack, that sort of thing. I use the percussive element of dance music as a canvas, almost, you know? I see the finished painting as the ideas coming to life. 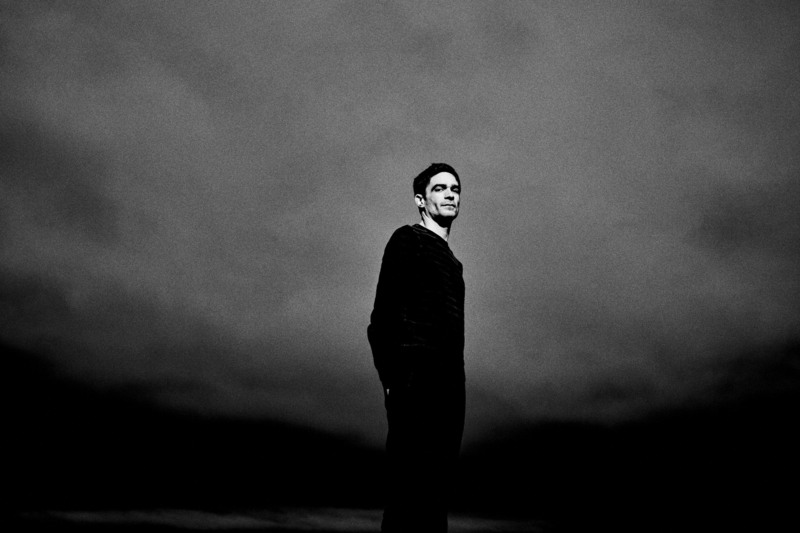 Catch Jon Hopkins live at the Capitol Theatre on February 13 2019. Tickets go on sale on Friday, September 14 at 10am and are available here.